Showcasing Burkinabé cuisine one meal at a time – today, ragou. 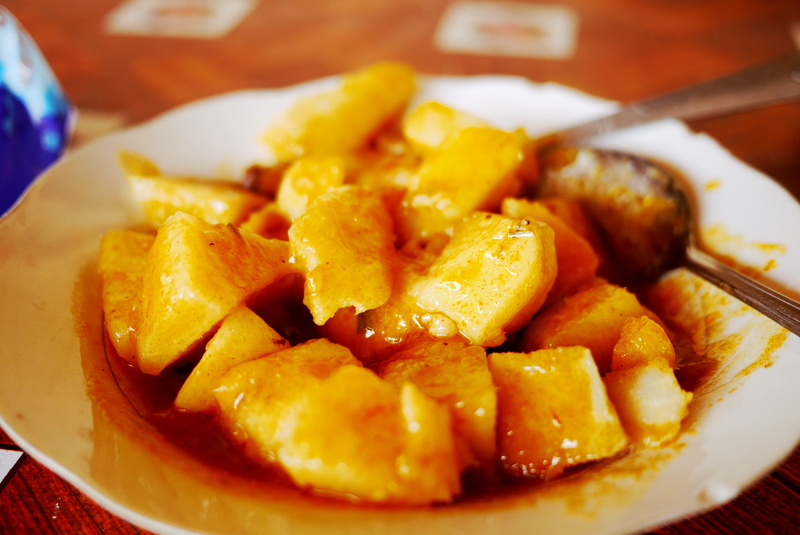 Ragou, (sadly not the Italian ragu) is boiled yams in a tomato sauce, and another common dish here in Burkina. The sauce the same tomato sauce used for riz sauce and also includes a couple of chunks of lamb or goat meat (often with its share of bones). Cost: 400CFA ($0.89).